Typically, there are three times you can expect a crowded parking lot at a local church: Christmas, Easter, and when Dracula releases a plague of the undead on the world. 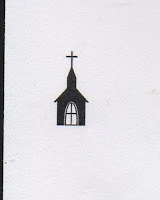 Whatever its faults, most people find their local house of God a more than reasonable alternative to bloodsucking enemies of all that is good. 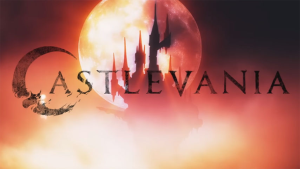 Unfortunately, there’s an exception to almost every rule, and Netflix’s Castlevania shows that, sometimes, going to the local church is not ideal in the event of an invasion from Hell. The clergy puts up an exceptionally poor showing for most of the four episode miniseries. Not content with being merely incompetent or morally bankrupt, they enthusiastically manage both. We first see a bishop burning a saintly doctor as a witch while she pleads that her persecutors be spared, for they know not what they are doing. It turns out that burning her was even more of a mistake than you’d expect: she was pleading to her husband, Dracula, who immediately declares war on humanity… after they’ve had a year to clean up and get their affairs in order. The local archbishop (who, following the well known principle of Peter, has risen to the highest level of incompetence) spends the year doing nothing useful, talking about how Dracula is incapable of threatening the children of God -- he even holds a ceremony mocking Dracula’s late wife on the day Dracula had promised to begin slaughtering all and sundry. Needless to say, it does not go well for the archbishop. Before the show is over, we’ve seen the corrupt bishop who killed the doctor excommunicate a vampire hunter, plot the murder of an order of charity-minded knowledge seekers, and drive a whole town into a reign of terror even beyond the expected background horror of having demons regularly eat their babies. It is not, needless to say, the Church’s finest hour, or particularly good fodder for any later literary historian to make theories that the writer was secretly a Catholic. All that said, what’s most interesting in the show’s depiction isn’t what it says, but what it doesn’t say. It’s not unknown for horror films to show priests as deeply corrupt, or the Church as more of a hinderance than a help. However, most films in that vein go further, showing that the God they worship is non-existent, or is another monster as horrible as the supposed enemy. 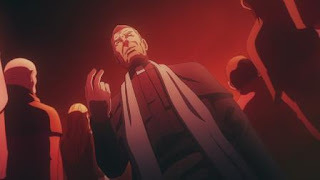 In the end, a priest who hadn’t been a participant in any of the most questionable actions was even able to prepare holy water against the demons, aiding hero Trevor Belmont in his attempts to save the city. In the end, God is good. It’s just his people who are awful. It’s vital that those who claim to follow Christ live up to it -- even when there aren’t any signs of Draculas. The church in Castlevania earns our lowest rating of One Steeple.